Tim Piazza died after a night of heavy drinking at Penn State's Beta Theta Pi fraternity house in February 2017. Former Penn State fraternity members are awaiting to find out if they will face trial in the hazing death of Timothy Piazza. 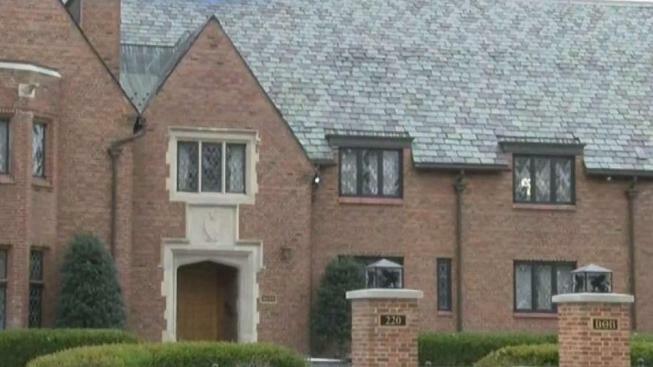 A judge is deciding if there is enough evidence to charge the former Beta Theta Pi members. Two members have already pleaded guilty to some charges in relation to the 2017 hazing death. The parents of a Penn State fraternity pledge who died last year after a night of hazing and drinking reached a settlement with the frat and announced sweeping reforms Tuesday. The settlement allows Jim and Evelyn Piazza to move forward with any claims against any other parties arising from their son Timothy Piazza’s death in February of 2017. It also includes a fraternity-conduct reform agreement “aimed at averting another preventable tragedy,” the family said. On Feb. 4, 2017, Timothy Piazza, 19, of Lebanon, New Jersey, died of severe head and abdominal injuries after a bid acceptance ceremony at the Beta Theta Pi house. Authorities say he consumed a dangerous amount of alcohol. More than 20 members of the now-closed fraternity were criminally charged and three of the members have pleaded guilty so far. The reform program detailed in the settlement includes the requirement of all chapter houses nationwide to be alcohol and substance-free by August of 2020. It also requires that the Piazzas be involved in any decision-making on the future use of the closed Beta Theta Pi chapter at Penn State. 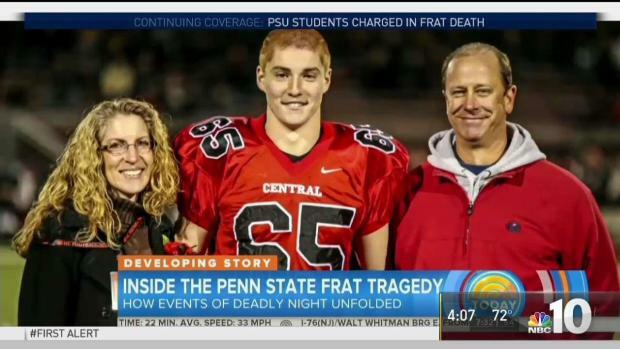 The family of a Penn State student who died after a fraternity event is now speaking out. Timothy Piazza died after falling down stairs and hitting his head several times during an evening of hazing and drinking at a Beta Theta Pi fraternity party. The program also calls for better education and training at least once each semester on social event planning and bystander engagement as well as on the prevention of hazing, alcohol and substance abuse and sexual assault. The settlement also includes a monetary payment, though Kline would not disclose the amount.